Folks, I'm having a hard time letting this one go. Carved Brazilian carnelian with a sparkling druzy hourglass shape (turned on its side) and has a warm, translucent hue. Stunning in real life, like a drop of caramel. 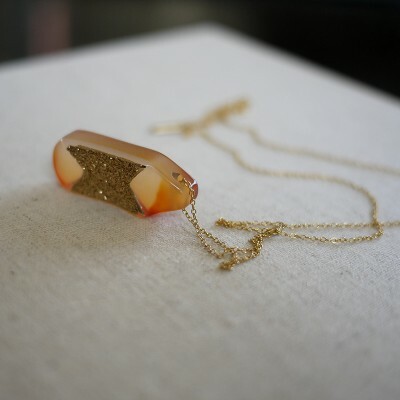 Necklace length: adjustable from 18" to 20"
Materials: carnelian druzy, 14k goldfill.